Toulouse Blagnac airport is he 5th French airport with almost 8 million passengers (2015 statistics) every year. COTEP has been one of its main suppliers for traveler information displays for the past 15 years. 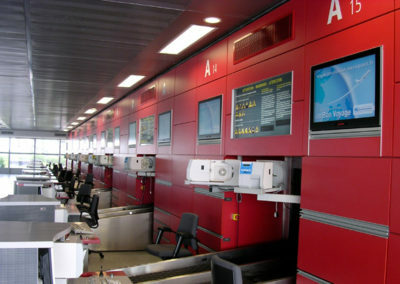 Renewing the monitors at the check-in counters without altering the historical wooden custom made furniture. We have created custom made hooking interfaces to fit the new monitors in the existing configuration. 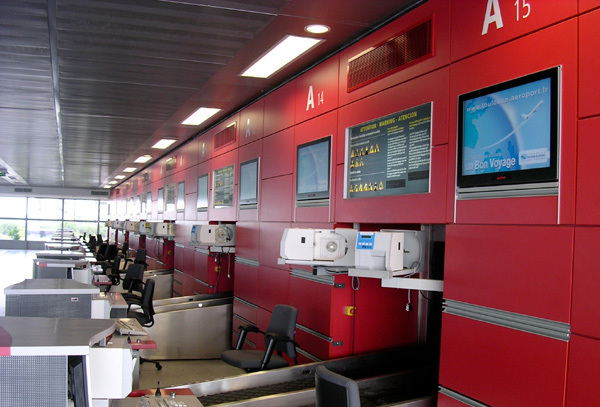 115 indoor 32″ SLIM monitors mainly at the check-in counters.